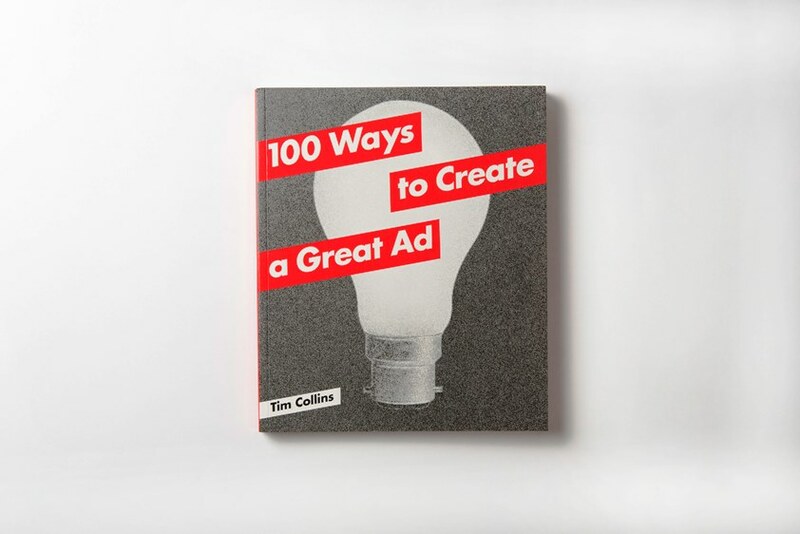 Advertising book review: 100 Ways to Create a Great Ad. If you’re an aspiring copywriter or art director looking to get a portfolio together, or an established creative looking for inspiration, this book will work well as a quick idea generator. We all know many of these techniques; we’ve just never seen them conveniently labelled like this. In fact if we’re honest, we never knew there were so many. So going off the top of my head (your head may vary from mine), I did a quick check-list of what I expected to find: side-by-side comparison; massive exaggeration; what life would be like without the product; how it feels with product; using the medium; product demo; testimonials; pricing. Yes they’re all there. Also the dreaded ones like using the employees to tell the story, and puns (current or stale). All the techniques you’d expect are present and correct. But this book goes further. You don’t just have puns, you have separate sections for visual puns and double meanings. You don’t just have testimonials, you have reverse testimonials and manufacturer’s testimonials. You’ve got all kinds of visual techniques too, including typography, diagrams and illusion. Plus areas which you may never have thought of. Like “Contrasting Pairs”, “Hidden Camera” and “Annotation”. All nicely illustrated with several examples each time. There’s even “Playing with the logo” (good luck with that one). A category like “Using the medium” is good, but also a useful reminder that if there is a limitation to this book it’s that it’s restricted to advertising, so don’t expect to find anything here on the two media that it’s easy to make creative use of, namely direct mail and online. Truth be told, though, many of these routes will work well in those media too. A great idea is a great idea in any medium. And this book is full of them. They’re all illustrated by hundreds of adverts for everything from from Apple to Zippo, and most sectors in-between. It’s nice to see so many fine adverts gathered together between one set of covers. In times gone by, a useful tip if you were stuck for an idea was to flick through an old D&AD Awards Annual or two for inspiration. Here, you have a lot more to look at (and, unlike some of those D&ADs, there’s not a duff one to be seen). Most importantly, you have reminders as to how and why they work so well. A book to go through from cover to cover with enjoyment, and then to refer back to as and when. Highly recommended. Next time I’ll be reviewing “Read Me”, another new book coming out soon which fishes in the same ‘how to’ pond, but uses a different approach. Please get in touch if you need a freelance copywriter based in London whether for writing your advertising, your website, or some sales collateral.